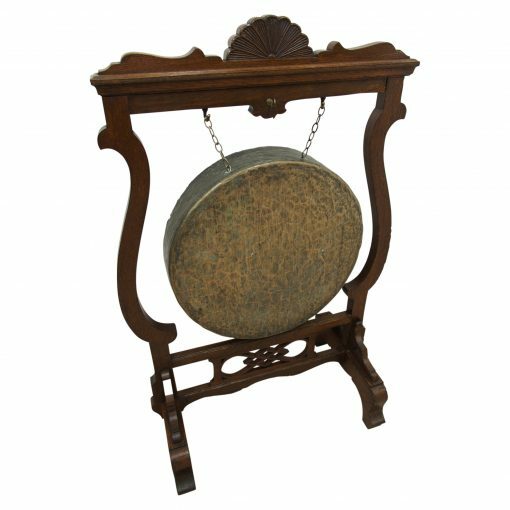 Circa 1900, floor standing dinner gong in carved oak. With a shaped top rail with central carved flower and 2 chains leading to a large brass gong with oak beater. Beneath this is a double cross over stretcher with fretwork in the centre and a shaped apron. There are 2 uprights to either side with open quarter brackets and the whole piece stands on 2 trestle ends on a simple, raised foot.